KINDERGARTEN REGISTRATION: The EMSB has announced that Kindergarten Registration Week for the 2016-2017 academic year will take place from Monday, February 1 to Friday, February 5. If one child from a family is already enrolled in a particular school, sibling registration period is taking place this week. Parents are asked to register at the EMSB elementary school nearest their residence offering the French program of their choice. For more information please call (514) 483-7200, extension EMSB (3672) or log on to www.emsb.qc.ca. All pupils registering for the first time are required to provide a birth certificate and vaccination records to the school the child will be attending. Parents will be asked to fill out forms which will allow the school to apply for the certificate of eligibility for English schooling. Under the Charter of the French Language, a certificate of eligibility is generally granted to children who did the majority of their elementary or secondary studies in English in Canada; whose mother or father did the majority of his/her elementary studies in English in Canada or whose brother or sister did the majority of his/her elementary or secondary studies in English in Canada. As a result of language legislation, this criteria excludes studies completed in the Quebec Private School system. See our TV commercial on Global TV, featuring Camille Ross and students from Bancroft Elementary School. RADIO COMMERCIALS: To listen to our many radio commercials and live reports from Dante on CJAD, click here. We also have the entire edition of CBC Radio Noon here from January 22, featuring literacy consultant Paul Kettner as a special guest. You can fast forward the news to listen to show. Paul and French language consultant Anik Malefant will be on Global TV's Focus Montreal on Sunday at 8:30 a.m., 11:30 a.m. and midnight. 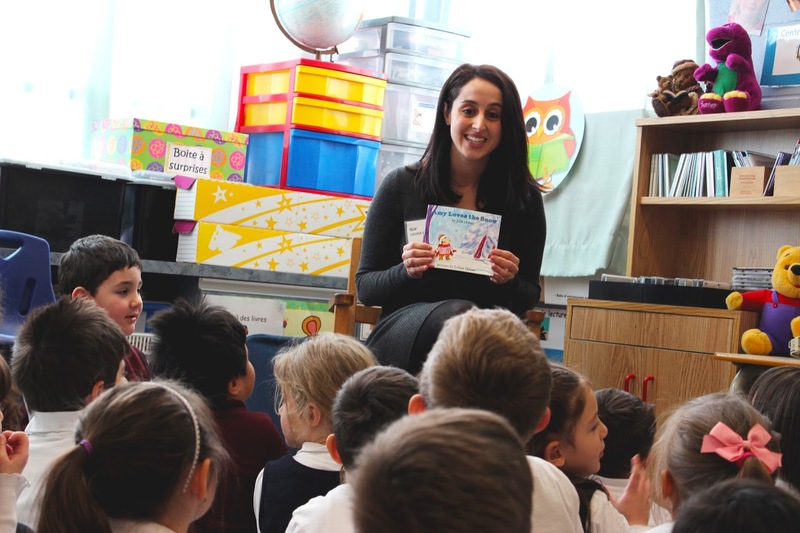 LITERACY CAMPAIGN: On the eve of Kindergarten Registration Week, the EMSB formally launched a campaign highlighting its successful balanced literacy initiative. In order to emphasize the importance of reading, the EMSB welcomed a number of well-known personalities to Dante Elementary School in St. Léonard to read to the Pre-Kindergarten, Kindergarten and Grade 1 students. They included the wives of three members of the Montreal Canadiens (Angela Price, Alyssa Flynn and Larissa Gilbert), St. Leonard Mayor Michel Bissonnette, Olympic snowboarder Caroline Calvé, Montreal Alouettes players Martin Bedard and Marc-Olivier Brouillette, two cheerleaders, Grey Cup Champion and current Université de Montreal Carabins Head Coach, as well as Dante graduate Danny Maciocia, Cameron Porter of the Montreal Impact, EMSB grad and La Voix finalist, Angelike Falbo and several media personalities. The latter group included Montreal Gazette editor Lucinda Chodan, Global TV Station Manager Karen Macdonald, CTV anchor Paul Karwatsky, Dante grad and Breakfast Television reporter Laura Casella and CJAD 800's Dave Kaufman. A nice gathering of guest readers and EMSB officials before the press conference. Breakfast Television, Global TV, CTV and RDS. As well as click here for EMSBTV coverage. Watch this video to hear from our celebrities about their favourite books and watch this video for highlights from our press conference! We will also be featured on an upcoming edition of the highly rated 24CH. Angela Mancini with Larissa Gilbert, Alyssa Flynn, Angela Price and students. 2009-2010. Results from standardized testing done last spring of the second cohort of students -those who were in Kindergarten when the balanced literacy plan was launched and who are now in Grade 6 - showed a 19 percent increase in the number of students reading at level. The goal of 90 percent of the cohort (1,500 students) reading at or above level was attained by the end of Grade 5. To gain an appreciation of the strength of these results, it is important to note that the average percentage of students at level across the country at any given grade is approximately 78 percent. For this campaign the EMSB has adopted the slogan proclaimed more than a century ago by Margaret Fuller, an American journalist and the first woman allowed use of the Harvard College Library: “Today a reader, tomorrow a leader.” Click here for the press release. Laura Casella reads at her former elementary school. 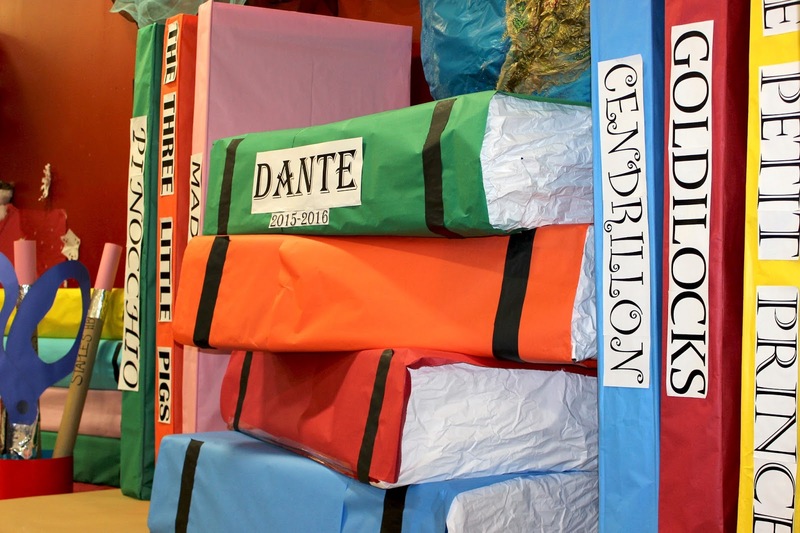 DANTE READS: The board-wide implementation of balanced literacy at the EMSB is showing positive results as students demonstrate solid learning and growing excitement in regard to reading and writing. Dante is one of the success stories of the balanced literacy initiative. For the past five years, teachers at this school have implemented “The Daily 5,” an organizational framework in which students practice reading, writing, and working alongside their classmates. By engaging in a series of literacy-related tasks—whether they be interactive word games or writing activities—students rotate to different thematic stations where they practice various important aspects of their literacy skills in authentic ways. Students also benefit by regularly conferencing with their teacher who targets instruction and provides feedback about each student’s specific learning needs. “Dante has been one of the EMSB pilot schools for the balanced literacy initiative. Because it has been working so well for us, the outcome has been very positive,” said Principal Daniela Lattanzio. Click here for the press release. Emcee Christine Denommee interviews Elaine Frenette. FAMILY LITERACY DAY: Wednesday January 27 was Family Literacy Day across Canada. City's Breakfast Television attended the EMSB press conference and filed a series of reports on their January 27 broadcast, with Catherine Verdon-Diamond. BILL 86 MEETING: EMSB Chairman Angela Mancini welcomed over 200 governing board parents and staff to a special information meeting on January 6 about draft Bill 86: An Act to modify the organization and governance of school boards The EMSB Council has denounced Bill 86 which, if adopted, will restructure the province’s school boards by limiting the public’s right to vote for school board commissioners. Guest speakers at the meeting were former Liberal Member of Parliament Marlene Jennings, Quebec Community Groups Network (QCGN) Director General Sylvia Martin and constitutional lawyer Michael Bergman. EMSB officials welcome guests to the Bill 86 meeting. Over the course of an in-depth two hour session the veil of draft Bill 86 was lifted and the fundamental truth was revealed. Mr. Bergman noted that parents would not be in-charge of their school board and that the Minister of Education would have the power to veto council decisions, over school board territories and whether or not to close or merge schools. “Bill 86 gives the Minister of Education the power to control and manage all of the resources of the school board,” Mr. Bergman warned. “He would also have authority over the Director General.” See the full press release. MEETING UNIONS: The EMSB recently invited all union and management associations to contribute to the preparation of the brief. 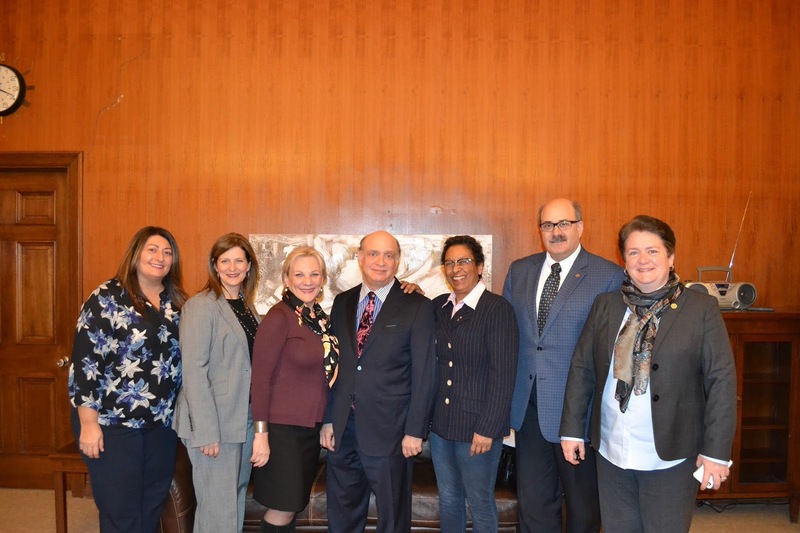 Ms. Mancini and Vice-Chair Sylvia Lo Bianco invited representatives from the four unions and three management associations to a meeting. The purpose was to gather input on what should be included in the EMSB’s Brief to Education Minister François Blais regarding Bill 86, which proposes a re-structuring of school board governance that limits the public’s right to vote for commissioners. The parties invited to meet with the Chairman were: Montreal Teachers` Association (MTA); Association professionnelle du personnel administrative (APPA/CSN); Syndicat des professionnelles et professionnels du Milieu de l`Éducation de Montréal (SPPMEM); Féderation des travailleurs et travailleuses du Québec (FTQ); Association of English Montreal Board Administrators (AEMBA); Association of Montreal School Administrators (AMSA); and Association Québécoise des Cadres scolaires (AQCS). BILL 86 HEARINGS: Ms. Mancini says that she is pleased with the decision that will enable the largest English and French boards in the province to present briefs at the upcoming hearings on Bill 86. Neither the EMSB nor the Commission scolaire de Montréal were included on the initial list of more than 50 organizations invited to present to the government. Ms. Mancini said that she wishes to thank those Members of the Quebec National Assembly who spoke up in favor of the two boards being allowed to be present at the hearings. The EMSB presentation will take place on Tuesday, February 16 at 4:15 p.m. Click here for a CTV report. 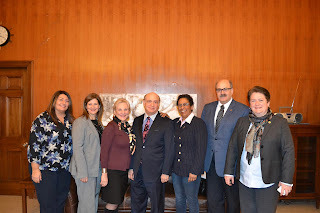 ROMA MEDWID THANKED: The EMSB Council of Commissioners adopted a resolution of tribute to Roma Medwid, who during her distinguished career of four decades served as a teacher, vice-principal, principal, assistant director of Pedagogical Services, regional director and deputy director general. She retired in December and is now working for the Learning Partnership. ANNUAL REPORT: The 2014-2015 EMSB Annual Report is available for viewing online. The English version is here and the French version is here. PARTNERSHIP AGREEMENT: Article 220 of the Education Act requires each school board to report on its partnership agreement in its annual report. The EMSB Partnership Agreement Annual Report informs all of its stakeholders in its territory an account of the implementation of its strategic plan and the results obtained with regard to the goals and measurable objectives set out in the partnership agreement that was entered into with the Minister of Education on July 1, 2010. A scene from the last EMSB Career Fair. The annual report informs the reader of the board’s objectives and targets set, the context as to why they were set, the results obtained, the board’s interpretation of the results, and the adjustments or corrective strategies to be implemented as a consequence of the results. The report also analyzes the degree of success of the strategies employed and their contribution to the attainment of the objectives. This allows the Board to identify strategies that are less effective and need to be modified or discontinued. Where there is insufficient progress, the board re-examines once again its educational and organizational practices and determine what new strategies should be developed to increase student success. The full content of the partnership agreement appears in the annual report link. NEW EXECUTIVE CHAIR: Commissioner James Kromida has been elected as the new chairman of the EMSB Executive Committee. The late Syd Wise previously held this post. He passed away in November. Rosario Ortona is the new vice-chair of that committee. Bernard Praw, who succeeded Dr. 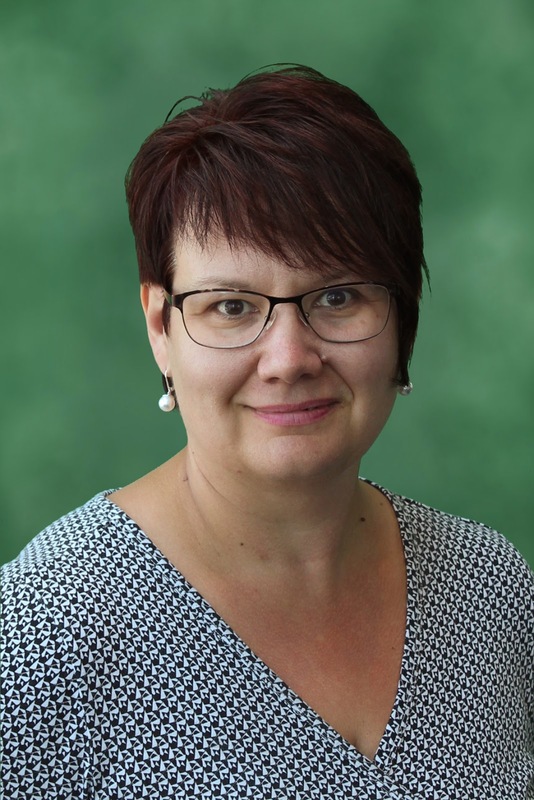 Wise as the commissioner for Côte Saint-Luc and Hampstead, will be the vice-chair of the Human Resources and Education Committees and the representative at the Quebec English School Boards Association. LONG RANGE PLANNING: The Central Parents Committee and the governing boards of Rosemount High School and John F. Kennedy High School are being asked to submit their views by March 15 on proposals by the EMSB Long Range Planning Committee to use some available space to address needs in the adult sector. Rosemount Technology Centre Cabinetmaking in action. Rosemount Technology Centre (RTC) is utilizing all existing classroom space at the main campus, where they cohabitate with Rosemount High School. They also use the Curtis George Campus in Montreal North, premises they share with the Galileo Adult Centre. RTC requires additional space to meet the growing demand for courses in computer graphics, industrial drafting, electromechanics and cabinetmaking. This adds up to a minimum of eight classrooms on the second and third floors of the high school. Meanwhile, the John F. Kennedy Adult Education Centre (JFKAEC) is also utilizing all of its available classroom space in the building it shares with the high school and needs 12 additional classrooms, the game room located on the main floor, the dance room located on the ground floor and the second auditorium located on ground floor near the parking lot. The school offers courses in academics and Common Core Basic English. JFKAEC wishes to expand its program offerings within the Social Integration Services (SIS), Social and Vocational Integration Services (SVIS ), language courses for international students and provide a point of service for a program for adults aged 21 and over with physical disabilities. SIS is specifically designed to help adults acquire the necessary skills to be able to integrate and participate in society to their fullest potential. The aim of SIVS is to teach vocational skills and work preparation skills to students with mild intellectual and learning disabilities and the opportunity to integrate into competitive employment in the community and to facilitate their transition with continuing support. unique and vital contributions of principals in publicly funded schools. This year, 40 principals representing every province and territory were chosen by a national selection committee on the basis of their exceptional contributions to their respective schools and communities. 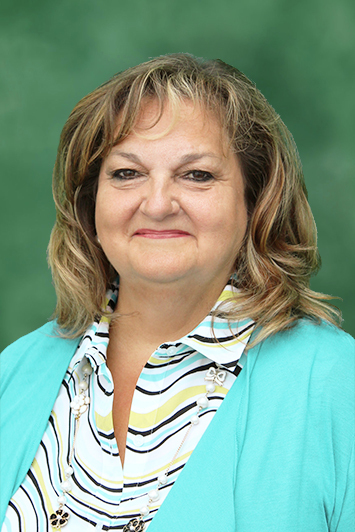 Ms. Perron will receive her award at the annual Outstanding Principals Gala on February 23 at the Westin Harbour Castle Hotel in Toronto. The winners also benefit from an exclusive five-day executive leadership training program at one of Canada’s top business schools, the University of Toronto’s Rotman School of Management. The program will introduce them to leadership and management practices presented by business, government and education leaders as well as Rotman instructors. They also benefit from a “Changing World of Work” day where they learn about today’s workforce from business leaders. CARNEGIE HALL BOUND: Devon Packer, a Grade 5 student at Royal Vale School in NDG, won first place in the International Crescendo Competition. He will be playing piano at Carnegie Hall in New York City on January 30 as part of the Winner's Recital. “This child is amazingly talented; a genius in music,” says Principal Nathalie Lacroix-Maillette. "You have to hear him play piano and the trombone with the band." Devon's mother, Paulana Layman, said her son started to play the piano at the age of four. He studies piano and composition at the McGill Conservatory of Music. His goal is to become a composer/conductor/pianist. Devon has been winning music competitions since the age of six, and has performed both solo and with orchestra, at Oscar Peterson Hall, the Place des Arts and next of course, Carnegie Hall. He had his first composition published last year at the Canadian Music Centre called "The Fantastical World of Camelot." Watch this report from City’s Breakfast TV and here is another from CTV. ROYAL VALE HOCKEY: Communications student intern Gregory Caltabanis has written a blog on our EMSBupdate.com page about Royal Vale's successful hockey program. Over a decade ago, Royal Vale physical education teacher Norman Katz created a hockey program with the goal of promoting health and activity. “These programs are typically found in high schools therefore it was unique initiative,” said Katz. Read the entire story here. Malik Shaheed (left) at Cedarcrest. ANTI-BULLYING: Westmount High School grad Malik Shaheed has been facilitating anti-bullying workshops via his Youth Stars Foundation (www.youthstarsfoundation.org). Most recently he was at Royal Vale School in NDG and Cedarcrest in St. Laurent. For more details email malik@youthstarsfoundation.org , call 514-800-9746 or log on to www.youthstars.org. You can also learn more about their March Break camp. EXTRA-CURRICULARS RETURN: The EMSB is pleased with news that agreements in principle have been reached between its unions and the Quebec government and that the ban on extra-curricular activities will be lifted. EMSB Chairman Angela Mancini said she welcomes a return to normalcy. “I commend all parties for coming together,” said Ms. Mancini. “As the parent of a high school student, I know what a hardship it was not to have those extra-curricular activities in place. We value the work done by all of our employees and know that all parties concerned are delighted we can get back our regular routines of athletic competitions, field trips, school plays and many other activities.” See this CTV report from Westmount High School. The social media team at LaurenHill. MARKETING THEIR SCHOOL: LaurenHill Academy in St. Laurent has assembled a group of students who are interested in marketing their school through social media. A sub-committee of that group has branched off and has created LHA Now, a group dedicated to creating and posting videos on the school’s YouTube channel. The topics of the videos will span from coverage of school events, interviews with teachers, ECAs and more. The most recent release is about the myth of a secret pool at the Senior Campus. This student-led initiative is allowing them to take ownership and pride in their school as they are showcasing the students and staff in a funny, quirky and positive way. Please take the two minutes needed to watch the episode on the secret pool on their channel right here. Sarah Howard and Pascale Finet. CROSS CURRICULAR PROJECT: Teachers Sarah Howard and Pascale Finet are working together on a cross curricular STEM project that has seen them qualify as semi-finalists in the Samsung Canada’s "Solve for Tomorrow’ Challenge." Of more than 700 applicants, 55 schools were chosen as semi-finalists across Canada. The project entails the development of an App to help gamify sleep in order to track good sleep habits and correlation with improved memory, attentiveness and ultimately higher grades. The prize from Samsung for being a semi-finalist is a Samsung Galaxy Tab S and a Samsung NX 3000 video camera. As students continue to work on the project, the next step of the Challenge is to create a one minute video demonstrating the process and results. To view the full news release from Samsung, click here. TOBACCO AND HEALTH: The Quebec Council on Tobacco and Health wants all Quebec teenagers to stop smoking in the next 10 years. Here is a CTV report with comments from students at Marymount Academy International, which has a youth coalition against smoking. BLACK HISTORY MONTH: EMSB schools will mark Black History Month in a number of ways. Nesbitt Elementary School in Rosemount and Rosemount High School will have special events on February 11 and 17 respectively. These programs will be geared towards moving students to a new level of self-awareness by making positive changes in the community and highlighting the beautiful traditions and role models of the Black Community. Nesbitt has invited Citizenship Judge Veronica Mae Johnson, who will be speaking about the importance of having a dream and uniting people. She will be joined by dancer Justin Jackson, the Coronation Elementary School Steel Pan Band and members from L’Academie De Danse de Montréal. Rosemount High has invited Global TV`s Elysia Bryan-Baynes, Justin Jackson, the Coronation Elementary School Steel Pan Band and L’Academie de Danse de Montreal. McSHANE CARES: Before the holiday break, Gerald McShane Elementary School in Montreal North donated 26 frozen turkeys to The Lighthouse, a community restaurant and food bank caring for the people by providing them with meals and food. It is a place where people can feed both body and spirit. The turkeys were distributed to local families in need. 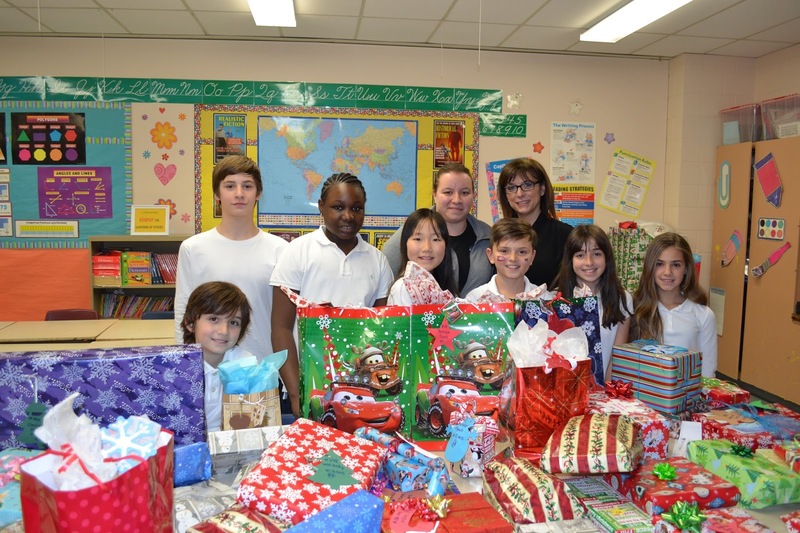 Following the holiday break, Grade 6 students from Gerald McShane, their head of Daycare, Mrs. Clementina, and their Spiritual Care Community Animator, Rocco Speranza, assisted with the distribution of food and clothing at The Lighthouse. "By volunteering their time, the students acquired respect for others, themselves, became empathetic and grew in community spirit making them better citizens," said Principal Christina Chilelli. "They learned the importance of coming together as a community to provide aid, joy and comfort to those who need it, especially children. It was a wonderful example of children helping children! Students valued their volunteer experience and really felt a great a sense of making a difference by giving back to their community an putting their best foot forward." A REAL BLESSING: Just in time for the holidays, students from a number of EMSB schools spent their final afternoon before winter break preparing over 300 meals for local missions. Under the watchful eye of Spiritual Community Animator Rocco Speranza, Knights of Columbus Council 14683 members and 50 parent volunteers came together with the students to continue the annual tradition of preparing sandwiches, pasta, salad and desserts for the homeless. The tradition has blossomed since it began eight years ago with a simple act of kindness by five-year old Gerald McShane student Annalyssa De Genova. In advance of Christmas 2008, Annalyssa and her father, Febo De Genova, were shopping downtown and about to have lunch when she noticed two men sitting on the street asking for something to eat. Concerned that they would not be eating a lunch too, her father explained that they were homeless and in need. With a simple act of compassion and empathy, Annalyssa offered to give them her sandwich. Her father had a different idea and he purchased lunch for both men. Eight years later, Annalyssa’s inspiration has led to a coordinated effort and has grown into a wonderful community event that truly puts into action charity, unity, and hope. Westmount High is physically fit. Program innovation began several years ago, as Westmount brainstormed some solutions to the challenge faced by the PEH teachers to cover all course content within the subject-time allocated to the course at the Secondary level. A proposal was put forward and ultimately adopted to increase PEH from two periods on a nine-day cycle to three at the Cycle I (Grade 7 and 8) level. A health classroom was created, as well as an additional period. This allowed for Competency 3 (Adopts an Active Healthy Lifestyle) to be covered in a more thorough and meaningful way for students. The PEH department observed a difference with this increase in subject time in that students leave Cycle I with a more solid foundation of important health-related knowledge that serves them in their daily management of their health and well-being. See this very detailed backgrounder press release drafted by EMSB Physical Education and Health Consultant Katherine Baker. INTERNATIONAL HOCKEY EXPERIENCE: Two international students from the EMSB, one from China and the other from Libya, had the opportunity to see their first ever professional hockey game on January 6, when the Canadiens hosted the New Jersey Devils at the Bell Centre. Manqi Liang and Monder Alzidani are enrolled in the International Baccalaureate (IB) Program at Marymount Academy International in NDG in Grades 10 and 11 respectively. Both students admitted that they never followed hockey in their respective native countries because it was a sport that was never popular nor regularly played there. However, after they saw for the first time the fast-paced excitement that goes with an NHL hockey game, which the Canadiens won by a score of 2-1, they quickly became fans of the team, and would like to go to more Habs games at the Bell Centre in the future. Mike Cohen, Monder Alzidani, Brian Wilde, Manqi Liang and Michael Bunn. “I loved watching the power plays,” said Monder. “I like the team in general, but a lot of people tell me that P.K. Subban is its best player.” Added Manqi: “The loud spirit of the fans was amazing. I was also amazed by how large the Bell Centre is; I have never seen a sports arena like this before.” The two students attended the game with their teacher Michael Bunn courtesy of CTV Montreal, which provided the tickets in the Club Desjardins section. Before the game, Manqi, Monder and Mr. Bunn got the chance to personally meet CTV News sportscaster Brian Wilde, and watched him do one of his live pre-game reports for the 6 o’clock newscast. See the full press release. 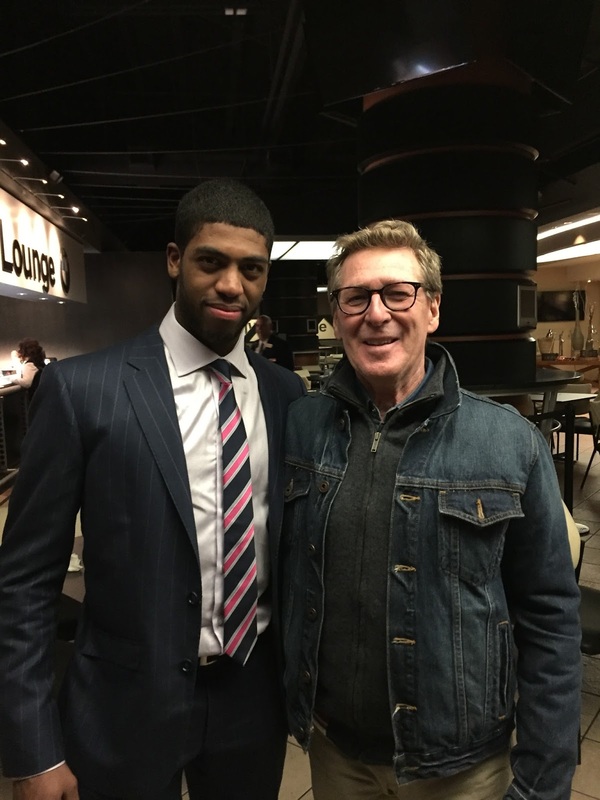 Anthony Duclair and Terrence Quinn. MR. QUINN IN ARIZONA: During a recent trip over the Christmas holidays to Phoenix, Arizona, Terrence Quinn, former Lester B. Pearson High School Principal, attended an Arizona Coyotes hockey game with his wife Maggie Aboud (FinancialServices, EMSB). Mr. Quinn was at the game to watch one of his former students of the Lester B. Pearson Sport-Études hockey program and present day player for the Coyotes, Anthony Duclair. Anthony had a great game and was responsible for setting up the only goal in a 1-0 victory over the New York Islanders. 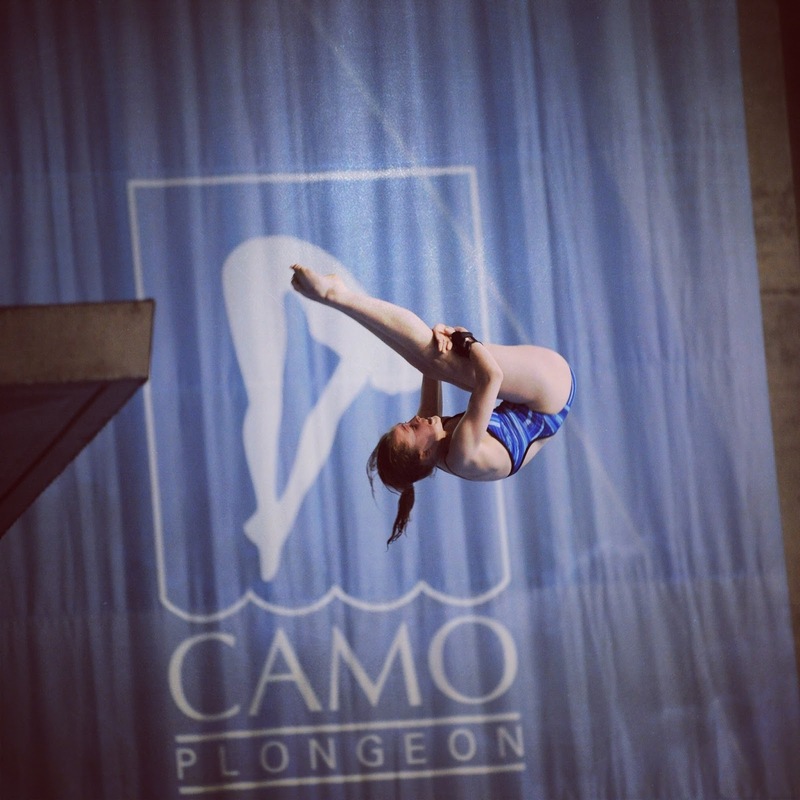 DIVING CHAMP: With 2016 being an Olympic year, Lester B. Pearson High School Sport-Études student and championship diver Tereza Vithoulkas is as focused as ever. ereza, an Honour Roll student, maintains an 86 percent overall average while competing at an elite level. Recently, Teresa competed at the Senior National Diving Championships in Saskatoon and will soon travel to China for further training. While she may not be representing Canada this summer, her fellow divers are undoubtedly saving a spot for her come the 2020 Olympics in Tokyo, Japan. VICE-PRINCIPALS: The EMSB is currently seeking applications for professionals interested in becoming a vice-principal of a school or centre. Eligible candidates are invited to an information session on Monday, February 1 at the EMSB Administration Building (6000 Fielding) in N.D.G. A panel of current administrators in both the youth and adult sectors will be on hand to provide insightful information as to the responsibilities and day-to-day life of an administrator. Applicants must possess, amongst others, the following: a Bachelor’s Degree in education or an undergraduate degree in a relevant field, certifying a minimum three-year university program; years of relevant experience in a teaching or a non-teaching professional position; a permanent teaching license issued by the Ministry of Education; and a university graduate program with a minimum of 30 credits in administration. A minimum of six credits must have been acquired prior to the first appointment. Info: 514-483-7200, ext. 7279. HOOKED ON SCHOOL WEEK: James Lyng High School in St. Henri has been chosen to host the 2016 launch of Les Journées de Perseverance Scolaire (Hooked on School) for the Region of Montreal. This will take place on Monday, February 15 (9 a.m.). A wide array of programming is scheduled at EMSB schools. Lester B. Pearson High School has a number of events planned. On February 10, Leo Barbe, an award winning speaker and activist, will address Grades 9 through 11. students bout perseverance, motivation, positive self-talk, emotional intelligence, positive choices and leadership. ALTERNATIVE AND YOUTH SECTORS UNITE: Under the umbrella of the Student Services Department, the EMSB has initiated a pilot project intended to build a relationship between the alternative and youth sectors aiming at promoting self-esteem, empathy and personal growth amongst all students involved. 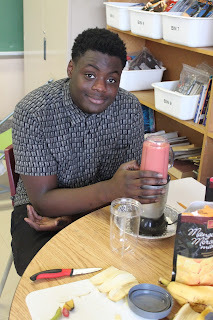 Standing Tall: Walking Towards a Better Tomorrow is built around students from the EMSB’s Alternative system, working with students primarily with special needs in the youth sector. The first part of this initiative features Noah Davidson, a Secondary V student from Perspectives II High School in St. Michel, working with students from Dalkeith Elementary School in Anjou and Nesbitt School in Rosemount. Organized by Spiritual Community Animator Vince Lacroce and Autism Spectrum Disorders Consultant Tania Piperni, the program will allow for Davidson to assist the school behaviour technicians and child care workers in working with students on such things as team building skills, social skills, and peer mediation. Davidson will be present in the classroom under the guidance of childcare workers and behaviour technicians as well as during unstructured times such as recess and lunch. Continued educational resources and mentorship will be provided for Davidson from the Student Services department in order to help facilitate more activities with the students. At Dalkeith Elementary School, Davidson will be working with childcare workers Kyle Stanley and Anna Maria Di Maulo and at Nesbitt School he will be paired with Bob Plunkett. SNOWBOARDER TEARS IT UP: Perspectives I High School welcomed Canadian Olympic snowboarder Caroline Calvé to speak to students and staff recently. She is not only the first, but also the only Canadian woman to win a World Alpine Snowboarding competition. She was a member of the Canadian snowboarding team in the 2010 Vancouver and the 2014 Sochi Olympics. Speaking to an interested group of students, she explained her unusual strategy. She began as an athlete early on, doing Alpine skiing and continued that until age 22, when she began snowboarding, and found her true passion. “Do you have a dream, a passion?” she asked, going on to say that when you love what you do, you forget about everything else, and nothing else bothers you. Caroline overcame her fears and developed a plan for herself. She made a list of things that she had to do to evolve and become better, knowing that she would have to face having good and bad days. Then came a real setback - a knee injury. This was a pivotal point in her career. It was a life lesson, and it made her go forward instead of ending her life as a competitive athlete. She searched for a strategy. Her dog, Enzo, motivated her training. Enzo was her companion for long-distance runs. She encouraged the Perspectives I students to look for who could be on their team (parents, teachers, others?) and also to believe in themselves. “We all have the potential to be great!” According to Caroline, medals are not the indication of being a champion but your attitude is! The message of doing one’s best every day clearly came through. Perspectives I was honoured to have her come and talk and share her story with us. SHAKE IT OFF: Echoing their inner Taylor Swift, a number of East End schools are incorporating innovative programs intended to promote healthy eating habits and lifestyles. At Perspectives I , students began the New Year by learning how to make healthy fruit and vegetable shakes, ensuring it becomes a part of their regular diet. As students experiment and create recipes, their ideas will be catalogued and fill the contents of a cookbook entitled “U Hungry?” The book will be tailored to students interested in simple, tasty and healthy food, as well as to inspire them to continue this lifestyle at home. At school, the shakes will be complemented with healthy snacks. For the athletes at Rosemount High School, their performance is squarely dependent on their energy levels, and for that reason the school is testing out the Awake with a Shake program. Staff members will be creating healthy shakes for their athletes consisting of ingredients such as spinach, kale, flaxseed and fruit in order to provide the much needed energy boost before or after competition. In concert with the new diet, the Physical Education department will be monitoring the energy levels of preselected athletes and will continue to promote the importance of healthy eating. At the culmination of the program, a certified yoga instructor will host a class for students and reinforce the ideas of reflection, proper diet, and exercise. ANIMAL INTERNSHIP: The Dogue Shop is an animal behaviour teaching and training facility on the South-West side of the Plateau Mont-Royal borough. The owner, Gaby Dufresne-Cyr, also conducts animal-assisted therapy programs in various high schools. Her unique and innovative facility employs dogs and rats. Mme. Dufresne-Cyr also likes to get involved in the community, thus, she takes interns from Perspectives I and II for a period of three months. The internship is a fun and highly interactive program which teaches students science based training techniques and allows teens to practice their newly acquired skills. Last fall, Gaby worked with a young man named Steven Giliberti, from Perspectives II. Steven is a very mature student who learned the ropes very quickly. He was able to train the Dogue Shop's resident dog Albear and the animal-assisted therapy rat colony. Steven also assisted Gaby in her daily tasks which included conducting a rat animal-assisted therapy program at Focus, another EMSB school. Teens helping teens work with animals is, in Mme. Defense-Cyr's opinion "The exemplary model of social learning." Steven was able to fit in and facilitate communication and interactions between staff, animals, and Dogue Shop volunteers. Gaby concluded, "Internships offered at Perspectives I and II are essential components of learning and are great assets for students. I believe the continuously growing workforce feels confused and lost; consequently, getting to see in advance what a job has to offer is worth a lifetime of searching, even if it's to say, I definitely don't want to do that for the rest of my life." Perspectives I and II are lucky to have her on board!! Vince Lacroce and Richard W. Pound. The Honourary Colonel's Commendation and Coin is one of the highest awards emanating from the Grenadier Guards and is rarely bestowed to a civilian. It was conferred to Lacroce by Richard W. Pound, Companion of the Order of Canada and current Chairman of the Olympic Broadcasting Services. 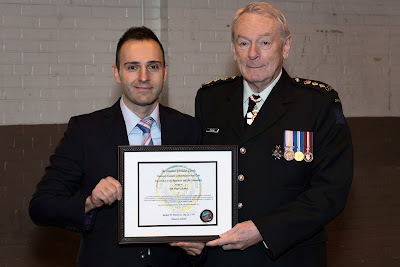 “On behalf of the Canadian Grenadier Guards, I would like to thank Vince Lacroce for the work he has done over the past 12 years,” said Sergeant Marco Mastantuono. “He helped our regiment achieve one of our missions which is to become more involved in the local community.” See the full press release. MUSICAL SHOWOFF: The producers of Musical Show Off have announced plans for their sixth season, showcasing Montreal’s best young triple threat talent, with the 2016 grand finale set for June 26 at the beautiful Rialto Theatre. Many EMSB students take part in this program. 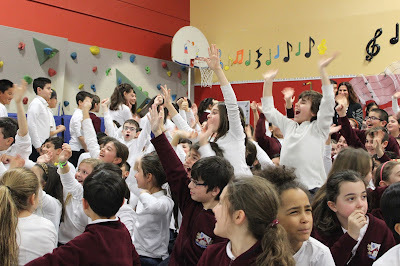 Musical Show Off is a marketing partner of the EMSB. The senior category, comprised of 11 to 17 year olds, will once again be split into four teams and receive a total of 24 hours of coaching before they compete against each other live on stage for the chance to win Musical Show Off. In addition to these four outstanding teams, there will be a group of “Rising Star Juniors,” aged eight to 10 years old who will perform on the big stage as well. Rehearsals begin on Sunday, May 8 2016. To celebrate this sixth season, Lloyd-Hughes and Rotella have decided to hold an event called “Talent Spot” where all young talent will be able to taste the experience of Musical Show Off. An evening filled with networking and collaboration between young artists and professionals. The “Talent Spot” event will be held on Sunday, January 31st (6-8 p.m.) at Danse 123 (7927 Newman Boulevard) in LaSalle. You can reserve your spot by calling 514-887-9555 or by e-mail bookings@musicalshowoff.com For more information log on www.musicalshowoff.com. See this video. 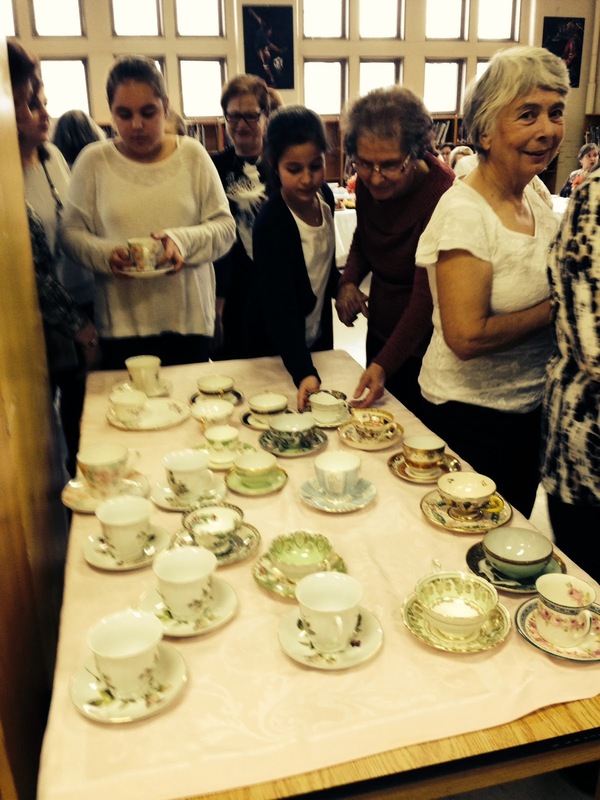 TEA WITH NANA: Nesbitt Elementary School in Rosemount’s “Tea with Nana” took place recently. Thirty grandmothers were honoured by their Grade 6 French Immersion grandchildren. While sipping their tea, these important women were entertained by their grandchildren who spoke about the precious time they share together painting, cooking and reading. An inter-generational recipe book was compiled and given to each guest as a gift to commemorate an afternoon of tea, tears and treasured moments. CULTURAL DIVERSITY: Cultures from around the world were on display at Cedarcrest Elementary School in St. Laurent as students put on a multi-cultural fashion show. Under the eye of Spiritual and Community Animator Mary Poullas, along with Principal Nadia Sammarco and Child Care worker Victoria LaStarza, the Multicultural Fashion Show was a mosaic of color and tradition as students shared costumes of their cultural background. The audience was taken around the world with exiting performances that included beautiful traditional and contemporary attire that represented over 20 countries. Students recognized what we can all share; a respect and understanding of each other and of all cultures. Pierre de Coubertin does some packing. hundreds of children, courtesy of the families and staff from Pierre de Coubertin Elementary School in St. Leonard. Dubbed “Arbre de Joie,” the initiative is based on the novel with the same title. Started two years ago by a group of teachers, the program allows for the opportunity to provide a special Christmas filled with joy and happiness to children who are less fortunate. In order for beneficiaries to remain completely anonymous, those who would like to participate simply receive an ornament with a child’s identification number, first name, age and gender. The gifts are then brought to Pierre de Coubertin where they are wrapped and prepared for delivery. All the presents are brought to a local school, where each student receives at least one gift. 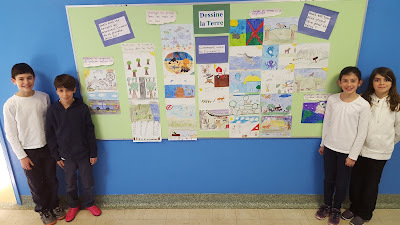 “With the utmost and overwhelming participation and generosity from the Pierre de Coubertin School family and with the help of the Arbre de Joie Committee, this program has been a wonderful success,” said Vanessa Racz, a Child Care Worker at Pierre de Coubertin. In addition to “Arbre de Joie,” the Pierre de Coubertin community collects year-round new and slightly used toys, clothing, and any other items that are clean and in good condition. These items are donated to various organizations during the holiday season through the CTV Montreal Spirit of Giving campaign. Throughout the rest of the year, they are donated to nearby churches and schools, Entraide Marie Clarac and Renaissance. In turn, these organizations distribute the items to the families in need within the community. SCHOLARSHIPS TO STUDY THE HOLOCAUST IN ISRAEL: Teachers in the youth and adult sectors and spiritual guidance and community involvement animators can still apply for three week all expenses paid scholarships to take part in the 2016 Yad Vashem International Seminar for Educators in Jerusalem, Israel July 3 to 21. As part of the Riva and Thomas O. Hecht Scholarship, Teaching of the Holocaust for Educators Program, participants will take part in a professional development program under the direction of the Faculty of the Yad Vashem Seminars for Educators from Abroad, International School for Holocaust Studies. The goal of the program is to provide professional development activities to teachers for teaching about the Holocaust and anti-Semitism to students in the youth Sector. Each recipient will be asked to create at least one teaching unit or module developed within the context learned. Complete CVs and Yad Vashem's application form must be submitted by March 31, 2016. All of the information teachers need to apply is here. Our Lady of Pompei students with their UN project. SAVE THE PLANET: In view of the United Nations Conference in Paris last December, fifth grade students at Our Lady of Pompei Elementary School in Ahuntsic want to help change the world one design at a time. As such, they have illustrated their ideas for the future of the planet. Many causes were referred to. You can see the designs on this site- www.dessinelaterre.com. 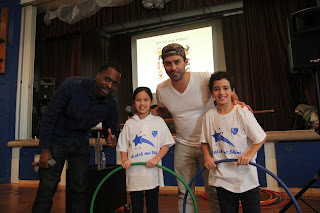 The students are proud of their participation in this program aimed at saving the planet. They hope their designs will send a clear message to leaders in society about the changes necessary in terms of the climate and biodiversity. John Paul I students at last year's Science Fair. SUCCESSFUL BOOK: Le Temps des Fleurs le Temps des Neiges, a musical and writing project which has involved 200 students from a number of EMSB schools, made it to the top 100 of the best books in Quebec for 2015. Here is a story from Le Devoir. JELLYFISH PROJECT: As organizations continue to develop innovative ways to inspire students to take an interest in the environment, students at John Paul I Junior High School were rocking and learning when the innovative Jellyfish Project stopped off in St. Leonard on January 18. The Jellyfish Project is a not-for-profit, non-partisan educational initiative focused on generating awareness among youth about the declining health of our world’s oceans, climate change and our environment at large. Established in 2013, the program involves a musical performance by a rock band which is followed by a dynamic presentation on ocean sustainability. To date, over 58,000 students at 110 different schools across Canada and the United States have experienced the Jellyfish Project. For more information, visit: www.thejellyfishproject.org. 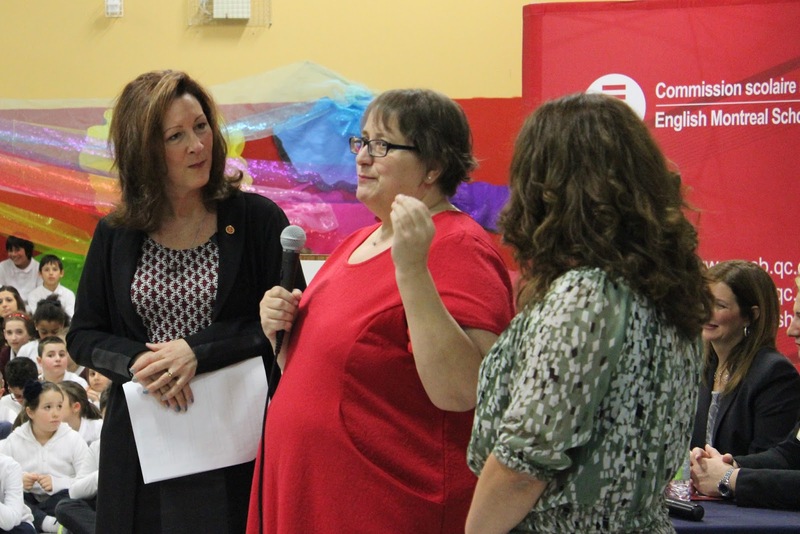 PHOTOS: New photos of the EMSB Board and School Administrators are now on the ePortal. The photos are filed by alphabetical order as well as by school for ease of use. Please here for a direct link to the Communications ePortal site. KIDS HELP PHONE: Kids Help Phone/Jeunesse, J’écoute has launched a new service for young men aged 14 to 18; a segment that is 31 per cent less likely to discuss mental and emotional health issues than girls, and 36 per cent less likely to talk about suicide and suicide related issues and yet death by suicide among males is four times higher. Kids Help Phone/Jeunesse, J’écoute recognized the need to create a resource to address the unique needs of teen guys and through a youth Advisory Committee and various focus groups conceived BroTalk/Coin des Gars. With funding from the Movember Foundation, a dedicated online support zone and referral service for teen guys aged 14 to 18 is now available. Designed with young men in mind, the new service aims to improve help seeking behaviour in young men through supports like Live Chat, online resources and interactive tools. Log on to to http://brotalk.ca and http://coindesgars.ca. Schools are encouraged to call Suzanne Gautier-Duff at 514-948-8355 or email Suzanne.Gautier-Duff@jeunessejecoute.ca. CENTAUR THEATRE OF TOMORROW PROGRAM: Centaur Theatre Company announces its Luminous Theatre of Tomorrow (TOT) Program for the 2015-2016 Season. The TOT program makes live English theatre accessible to High School students at a discounted price. Tickets remain at $16 for another year thanks to our sponsors. Program benefits include a teacher’s guide providing background information, discussion topics and improvisation activities; and talkback sessions following the performances where students meet the cast, voice their comments and ask questions. For schedule and teacher’s guide, go to http://www.centaurtheatre.com/schools.html. For Bookings and inquiries email groups@centaurtheatre.com or call 514-288-1229 x245. Additionally, Centaur hosts the SATURDAY MORNING CHILDREN SERIES for younger siblings! Fun, affordable family entertainment to awaken the imagination and introduce children to the enchanting world of theatre. On select Saturday mornings throughout the season, young children and their families enjoy affordable and engaging live performances by some of Montreal’s best talent for kids. The Saturday Morning Children’s Series programs local and touring artists. Some are established companies while others are independent, emerging or aspiring professionals. Check out the line up at www.centaurtheatre.com/children-s-theatre.html. Now over 30 years old, Centaur Theatre is proud to present new theatre for young audiences and their families, and is dedicated to continuing its community-minded children’s programming. Ticket Prices: Adults: $8.00 Children: $6.00. Limited Seating Available – book your tickets now! Tickets available by calling 514-288-3161. Registration is now open! For more information, please contact: Liana Wiener at .739.2301 x8331 (lwiener@segalcentre.org) or log on here. GALILEO NEW YEAR: On January 13, students and staff from Galileo Adult Education Centre in Montreal North had a New Year’s Gala to welcome 2016. A dance party featuring a deejay, door prizes and cake were celebrated in the morning and in the evening with groups of students. Given that the school culture at Galileo is composed of 700 students coming from many cultures across the globe and New Year’s is a celebratory event that is familiar to all, cheering in the New Year together imparted a sense of belonging to newcomers and citizens alike. Salsa, Arabic, American, Haitian, Canadian, Italian and Pop music blared through the gymnasium as the light show lit up the dance floor filled with hat-wearing participants dancing and waving glow sticks. Earlier, in preparation for the festivity, class discussions took place to explore how New Years’ is celebrated around the world. Highlighting the event was the great sense of appreciation that everyone shared for all that they have in Canada; Safety, family values and heartwarming support from their community. A memorable time was had by all and is sure to inspire a New Year filled with excellent health and prosperity for all. INSCRIPTION À LA MATERNELLE: La Commission scolaire English-Montréal a annoncé que la semaine d’inscription à l’éducation préscolaire pour 2016-2017 aura lieu du lundi 1er février au vendredi 5 février. Une période d’inscription est prévue la semaine précédente pour les familles qui ont un enfant déjà inscrit dans une école de la commission scolaire. Les parents sont invités à inscrire leur enfant à l’école primaire de la CSEM qui offre le programme de français de leur choix et qui est située le plus près de chez eux. Pour de plus amples renseignements, veuillez composer le 514-483-7200, poste 3672, ou consulter le site Web de la CSEM au www.emsb.qc.ca. Les parents qui inscrivent leur enfant pour la première fois doivent fournir son acte de naissance et son carnet de vaccination à l’école qu’il fréquentera. Ils devront remplir des formulaires qui permettront à l’école de soumettre une demande de certificat d’admissibilité à l’enseignement en anglais. Conformément à la Charte de la langue française, un certificat d’admissibilité sera remis à l’enfant qui reçoit ou a reçu la majorité de son enseignement en anglais dans une école primaire ou secondaire au Canada; à l’enfant dont le père ou la mère a reçu la majorité de son enseignement primaire en anglais au Canada; ou à l’enfant dont le frère ou la sœur a suivi ou suit la majorité de ses études en anglais dans une école primaire ou secondaire au Canada. La Charte exclut l’enseignement reçu dans des écoles privées du Québec. Envahie par la frustration, elle a même songé à quitter la profession. Or, après avoir lu attentivement et compris les modalités d’application de la littératie équilibrée – au moyen du cadre ‘Les 5 au quotidien’ –, Mme Frenette a vu la chose d’un meilleur oeil. Elle avoue apprécier la possibilité d’interaction individualisée avec ses élèves que lui offre cette approche. Elle comprend mieux les besoins de chacun d’eux sur le plan de l’apprentissage de la lecture et de l’écriture. Contrairement à ce qu’elle craignait, l’approche lui laisse beaucoup de temps pour se consacrer aux nombreux autres aspects de son travail. De plus, elle confère de l’autonomie aux élèves. Lire le communiqué. ENTENTE DE PARTENARIAT: En vertu de l’article 220 de la Loi sur l’instruction publique, les commissions scolaires doivent intégrer dans leur rapport annuel leur reddition de comptes au titre de la convention de partenariat. Ainsi, la CSEM publie dans son rapport annuel, à l’intention de tous les intervenants sur son territoire, les résultats obtenus en regard de son plan stratégique ainsi que des buts et des objectifs mesurables prévus à la convention de partenariat conclue avec le ministère de l’Éducation le 1er juillet 2010. Le rapport annuel fait état des objectifs et des cibles établis, du contexte dans lequel ils ont été établis, des résultats obtenus, de l’interprétation que fait la commission scolaire des résultats et des stratégies qu’elle entend mettre en œuvre pour améliorer les résultats insuffisants. Le rapport analyse aussi le degré de réussite des stratégies employées et leur contribution à l’atteinte des objectifs, de sorte que la commission scolaire puisse cerner les stratégies les moins efficaces, les améliorer ou les abandonner. Si les progrès sont insuffisants, la commission scolaire réévalue ses pratiques éducatives et organisationnelles, et détermine les stratégies aptes à accroître la réussite des élèves. DIRECTIONS ADJOINTES: La Commission scolaire English-Montréal est actuellement à la recherche de candidatures de professionnelles et professionnels qui souhaiteraient assumer la direction adjointe d’une école ou d’un centre. Les candidates et candidats admissibles sont invités à une séance d’information qui aura lieu le lundi 1er février à 16 h 30, dans l’édifice administratif de la CSEM au 6000, rue Fielding, à Notre-Dame-de-Grâce. Un groupe de cadres actuellement en poste dans le secteur des jeunes et celui des adultes sera sur place afin de fournir des renseignements éclairés quant aux responsabilités et à la vie quotidienne d’un administrateur scolaire. Les personnes intéressées par ces fonctions doivent notamment être titulaires d’un baccalauréat en éducation ou dans un domaine pertinent attestant d’au moins trois ans d’études universitaires; posséder une expérience pertinente dans un poste de professionnel enseignant ou non enseignant; posséder une autorisation permanente d’enseigner délivrée par le ministère de l’Éducation; et suivre un programme universitaire de deuxième cycle d’au moins 30 crédits en administration, dont au moins six crédits sont obtenus avant la première nomination. Information : 514-483-7200, poste 7279. JOURNÉES DE LA PERSÉVÉRANCE SCOLAIRE: L’école secondaire James Lyng à Saint-Henri sera l’hôte du lancement des Journées de la persévérance scolaire (Hooked on School) pour la région de Montréal. Le lancement aura lieu le lundi 15 février à 9 h. Une foule d’activités sont prévues dans les écoles de la CSEM pour les JPS. PROJET CONJOINT DES SECTEURS ALTERNATIF ET DES JEUNES: Sous la gouverne des Services aux élèves, la CSEM a lancé un projet pilote qui vise la participation conjointe des secteurs alternatif et des jeunes à la promotion de l’estime de soi, de l’empathie et de la croissance personnelle chez les élèves. L’initiative Standing Tall: Walking Towards a Better Tomorrow s’appuie sur l’entraide entre des élèves du système alternatif de la CSEM et des élèves, plus particulièrement ceux ayant des besoins particuliers, du secteur des jeunes. Dans le cadre du premier projet mis sur pied, Noah Davidson, un élève de 5e secondaire de l’école Perspectives II à Saint-Michel, travaille avec des élèves des écoles primaires Dalkeith à Anjou et Nesbitt à Rosemont. Organisé par l’animateur de vie spirituelle et communautaire Vince Lacroce et la spécialiste des troubles du spectre autistique Tania Piperni, le projet permettra à Noah Davidson d’aider les techniciens du comportement et les éducateurs en service de garde à travailler avec les élèves à développer certaines compétences, dont le travail en équipe et la socialisation, ainsi que la médiation par les pairs. Noah sera présent dans la classe sous la supervision des éducateurs en service de garde et des techniciens du comportement, ainsi que durant des périodes non structurées comme la récréation et l’heure du dîner. Les Services aux élèves offriront à Noah des ressources de formation continue et du mentorat afin de l’aider à réaliser de plus en plus d’activités avec les élèves. À l’école primaire Dalkeith, Noah travaillera avec les éducateurs en service de garde Kyle Stanley et Anna Maria Di Maulo, et à l’école primaire Nesbitt avec Bob Plunkett. UNE SURFEUSE DES NEIGES LIVRE SON MESSAGE: L’école Perspectives I a récemment accueilli la championne olympique canadienne de surf des neiges Caroline Calvé qui s’est adressée aux élèves et au personnel enseignant. Caroline est la première et la seule athlète canadienne de sexe féminin à avoir remporté la Coupe du monde en surf des neiges alpin. Elle était membre de l’équipe canadienne de surf des neiges aux Jeux olympiques de Vancouver en 2010 et de Sotchi en 2014. S’adressant à un groupe d’élèves très attentifs, elle a expliqué sa stratégie, plutôt inhabituelle. Athlète dès son plus jeune âge, elle a fait du ski alpin jusqu’à l'âge de 22 ans, avant de découvrir sa véritable passion, le surf des neiges. « Avez-vous un rêve, une passion? », a-t-elle demandé aux élèves, ajoutant que quand on fait ce qu’on aime, on oublie tout le reste et plus rien ne nous dérange. SING MONTRÉAL CHANTE: Au terme de plusieurs mois d’efforts soutenus, 10 élèves de l’école primaire Saint-Gabriel à Pointe-Saint-Charles se sont joints à 150 élèves de 8 autres écoles primaires de Montréal afin de se produire en concert dans le cadre du projet Sing Montréal Chante. Les jeunes choristes ont chanté en anglais, en français, en italien, en portugais, en japonais, en latin et en maori, accompagnés par un orchestre, pour le plus grand bonheur de leur public. Information : www.singmontrealchante.com. ARBRE DE JOIE: Les familles et le personnel de l’école primaire Pierre-de-Coubertin à Saint-Léonard ont acheté et emballé quelque 500 cadeaux destinés à des centaines d’élèves, dans le cadre du projet Arbre de Joie, qui tire son nom du titre d’un roman. Amorcé il y a deux ans par un groupe d’enseignants, le projet vise à offrir joie et bonheur à l’occasion de Noël à des enfants défavorisés. Afin de préserver l’anonymat des bénéficiaires du projet, les enfants qui souhaitent y participer reçoivent un simple accessoire qui porte un numéro d’identification, et leurs prénoms, âge et sexe. Les cadeaux sont apportés à l’école Pierre-de-Coubertin, où ils sont emballés et préparés pour livraison dans les écoles locales où chaque élève participant en reçoit au moins un. « Grâce à la grande générosité et à la chaleureuse participation de la communauté de l’école Pierre-de-Coubertin, et avec l’aide du comité Arbre de Joie, ce projet est un merveilleux succès », se réjouit Vanessa Racz, éducatrice en service de garde à l’école Pierre-de-Coubertin. BOURSES POUR L’ÉTUDE DE L’HOLOCAUSTE EN ISRAËL: Les enseignants du secteur des jeunes et du secteur des adultes, ainsi que les animateurs de vie spirituelle et communautaire peuvent poser leur candidature afin de bénéficier d’une bourse qui couvre l’ensemble des frais de participation à l’édition 2016 du séminaire de trois semaines Yad Vashem International Seminar for Educators qui a lieu à Jérusalem, en Israël, du 3 au 21 juillet. Dans le cadre du programme de bourses Riva and Thomas O. Hecht, The Teaching of the Holocaust for Educators, les participants prendront part à un programme de perfectionnement professionnel sous la gouverne de la Faculty of the Yad Vashem Seminars for Educators from Abroad, International School for Holocaust Studies. Le programme a pour but d’offrir des activités de perfectionnement professionnel au personnel enseignant pour l’enseignement de l’holocauste et de l’antisémitisme aux élèves du secteur des jeunes. Chaque participant aura à créer au moins une leçon ou un module qui s’inscrit dans le contexte des apprentissages réalisés. Les personnes intéressées à participer au programme ont jusqu’au 31 mars 2016 pour envoyer leur CV et le formulaire de demande de bourse Yad Vashem dûment rempli. Pour obtenir toute l’information nécessaire, cliquez ici. FINALE RÉGIONALE D’EXPO-SCIENCES: La finale régionale de Montréal de l’Expo-sciences Hydro-Québec aura lieu du 13 au 15 mars sur le campus du centre-ville de l’Université Concordia. Organisée par l’Alliance pour l’enseignement de la science et de la technologie (AEST), l’Expo-sciences est tenue à l’Université Concordia pour la deuxième année de trois années consécutives. Durant cette compétition exceptionnelle, des scientifiques en herbe âgés de 13 à 20 ans présenteront aux visiteurs des projets scientifiques qui les passionnent, démontrant que la science et la technologie peuvent être à la fois intéressantes et accessibles. CORRIDOR VERT DE MONTRÉAL-NORD: L’arrondissement de Montréal-Nord a signé une importante entente avec la Commission scolaire de la Pointe-de-l’île (CSPI) et la CSEM pour la mise en place d’un projet innovateur de Corridor Vert. Ce projet concerne les zones entre Pascal (nord), Renoir (sud), Rolland (est) et Laurier (ouest). Il est unique par le fait que sur ce petit espace d’un demi-kilomètre se trouvent cinq écoles, deux parcs, un centre/une bibliothèque de communauté culturelle, une aréna et une piscine publique. Plus de 6 000 élèves, parents et enseignants passent journellement par cette zone. Les cinq écoles sont : l’école primaire Gerald McShane, l’école secondaire Lester B. Pearson de la CSEM, l’école secondaire Henri Bourassa, l’école primaire Jules Verne et l’école Adélard-Desrosiers. CHANGER LE MONDE: En vu de la conférence des Nations Unies à Paris le 11 décembre 2015, les élèves de cinquième année de l’école Our lady of Pompei ont voulu participer à changer le monde, un dessin à la fois! Chaque élève a illustré ses aspirations et craintes quant à l’avenir de la planète. Plusieurs causes ont étés abordées. Ensuite, les dessins ont étés publiés sur le site web www.dessinelaterre.com. Les élèves sont très fiers de leur participation à une si importante cause pour sauver notre planète. Ils espèrent que leurs dessins ont envoyé un message clair aux dirigeants et aux décideurs de la planète et ouvrir un débat sur les problèmes liés aux changements climatiques et à la biodiversité. The next Focus will be published on February 25, 2016 Submissions should be made to Michael J. Cohen preferably by e-mail (mcohen@emsb.qc.ca) by February 19 at Noon.